I think the letter is genuine. 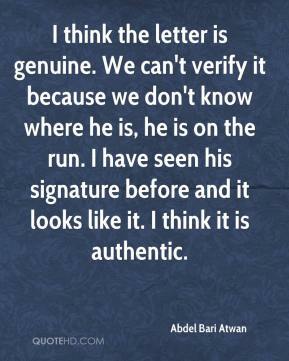 We can't verify it because we don't know where he is, he is on the run. I have seen his signature before and it looks like it. I think it is authentic. 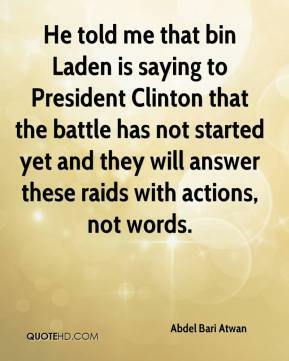 He told me that bin Laden is saying to President Clinton that the battle has not started yet and they will answer these raids with actions, not words. 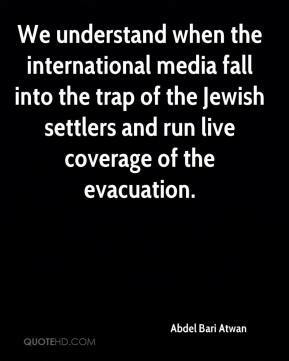 We understand when the international media fall into the trap of the Jewish settlers and run live coverage of the evacuation. 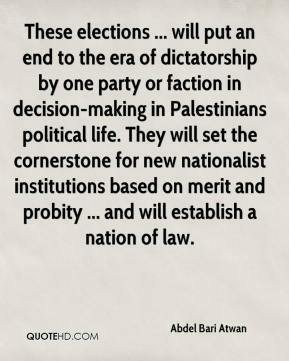 These elections ... will put an end to the era of dictatorship by one party or faction in decision-making in Palestinians political life. They will set the cornerstone for new nationalist institutions based on merit and probity ... and will establish a nation of law. 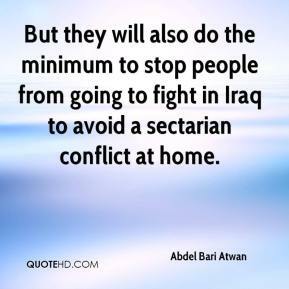 But they will also do the minimum to stop people from going to fight in Iraq to avoid a sectarian conflict at home. It's very dangerous. The timing is extremely important. 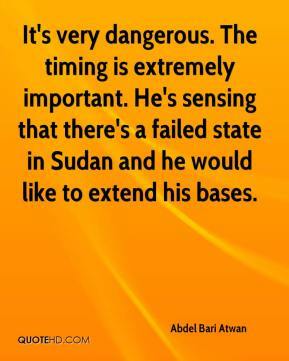 He's sensing that there's a failed state in Sudan and he would like to extend his bases.